Software patents are regular patents, but instead of inventing a machine or a chemical formula, you invented a computer program. Not all software can receive a patent. The software has to meet certain USPTO standards in order to get a patent. Hiring a patent attorney has always been a wise option for inventors, when it comes to drafting. And, when it’s from the software field, the question might be bigger and confusing. 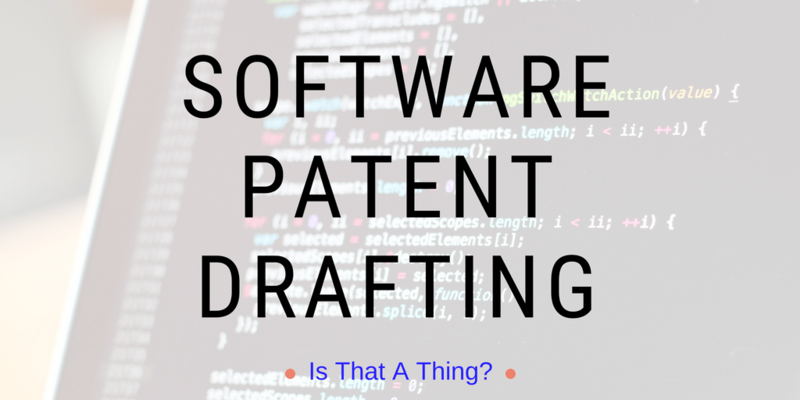 Software patent drafting is not just another easy job that any draftsperson can carry. It requires complete knowledge about the technology domain and years of experience in the legal industry. If an inventor wants to proceed further but underestimates the importance of patent attorneys, then he/she might suffer in further proceedings. However, everyone has to accept the fact that software patent drafting professionals are trained to establish patent drafting in that way. They have spent several years in patent drafting training, which includes, reading, writing, and prosecuting patent applications. The goal of every patent drafter is to include the patent clauses correctly. In fact, you will get the freedom to define the invention in the way you wish to. But it does not mean that the court will accept anything and everything. Do you want to master the art of Patent Drafting? Read to learn: Draft Your Patents Clearly: Why & How? Software patents are used to enhance the performance of computers by means of a computer application. However, not all types of software invention get patent protection. A software invention is commonly known as a computer-implemented process. In case, if it gets protection then, the software is the thing which is being protected. In the U.S. many inventors come up with unique and the machine tied software for their protection. If you want your software to get patented then, it must satisfy below-mentioned requirements. Software Patent Drafting: What are the Requirements? In fact, the core patentability requirements such as a novelty, uniqueness, and non-obviousness must be fulfilled by your software. If you have a computerized process then the need for the process to be attached to a specific machine does not bring the volume of limitation, but it ensures that no matter what protection you do eventually would not get the extension up to methods of pure businesses. This means a process cannot attain patent in your head, but if the process makes profit a tangible machine let’s say computer then you can get patent for the same by properly and uniquely describing the process. Similar feed: Patent Drafting Vitals: You Can’t Miss These! A strong and broad software patent can be obtained by firstly considering the broad vision of the patent for detailed understanding and then switching down to specifics. Also, you should emphasize the functionalities and uniqueness of software. You can look for, how does process engine implements the core functionalities and handles and manipulates information? Also, you should consider the types of problems solved by your solution and how does it add more advantageous in comparison to any other solution. If you find strong and efficient answers to the above questions then you can obtain an asset-software patent for your business. Software Patent Drafting: How to Frame? Explanation: Complete explanation of how the software works with hardware. Algorithms, code, or math formulas can’t be patented. You can simply copyright your code, but you cannot patent it. Since you can’t patent the pieces that make up software, what you try to patent is the process itself. You need to present the software as an invention. 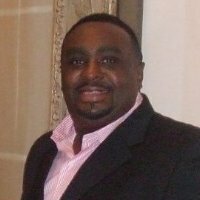 The software has to create a unique process. That means focusing on what is special about your software. Software patents that relate to technology have a better chance of getting approved. The areas that have the most success includes networks or networking, design work that uses computers, user interface (including a user interface that lets you control a machine), etc. Are you looking for options to draft your patent application? Read: Options To Draft A Patent: Know Them All! Different types of software can conduct similar applications. In figuring out how to patent your software, you have to look at other software that is similar. That will help you find what is unique about your software. Some software developers think about patent requirements and research similar software before they are finished creating theirs. Doing this will help you make sure you do something different as you work on your software. Software Patent Drafting: What Claims to Make? Software patents are unique in the patent world because they need to refer to a computer or a machine and include multiple steps. For that reason, you want to make both big and small claims in your software patent. Patenting the large concepts protects your broad idea. Patenting small concepts helps you survive any lawsuits that come up in the future. If you only rely on big pieces of your software to make your patent claim, then your patent will easier to challenge. Small concepts help prove your software is unique. Then even if you lose the patent for a big aspect, you’ll still have small aspects protected. When you describe the software, small concepts are crucial. These small details show how the software is an invention, not an abstract idea. You want to describe it so that another person could follow your directions and recreate your process without any guesswork. Also Read: Relative Terminology Will Destroy Patent Draft: Know How? Software Patent Drafting: Why to Conduct a Search? The patent search is one of the fundamental steps that you must not ignore. A comprehensive and multiple phase searches which help to understand an invention in the context of prior art. If your software invention has something unique, you can get a patent without any hassle. Now, here a question arises is whether your obtaining patent claims would be broad enough to compensate the time, money and other expenses, spent on a patent. A good provisional patent application can be easily drafted if you sum-up your patent application on time. But, that even an attorney can do it better. The fact is that attorneys don’t have the shortage of time, but at times clients try to cut off their pockets. If you have finalized to go on your own then, The Patent Drafting Catalyst is your one-stop destination which will take you as far as you can realistically go on your own. Lots of questions surround what makes a good software patent application. There are also lots of questions about which software can be patented. Looking for software patent examples is key if you want to patent your software. Studying examples of existing software patents can help you figure out how to make a good patent application. Microsoft patent (Application No: US 6041345): The Patent covers a method of encapsulating multiple streams of data into a data stream that is implemented in the Advanced Systems Format. A good patent attorney always spends additional time on an application in order to make an application better and appropriate. If you are looking for best patent drafters for your invention then, you are at the right website. We, at The Patent Drafting Catalyst, deliver unparalleled patent drafting solutions at an unbelievable price. So, what are you waiting for? Hurry up and choose the service according to your preferences. To know more about us, please visit our service page. Read: Patent Drafting Enemies: Get Rid of These!! This entry was posted in Blog and tagged Chemical Formula, Computer Application, Drafting a Software Patent Application, Get a Patent, Hiring a Patent Attorney, International Patent Application Drafting Solutions, invention, Inventors, Networking Technology, non-obviousness, novelty, patent applications, Patent Attorneys, patent claim, Patent Clauses, patent drafter, Patent drafting, Patent Drafting Catalyst, Patent Drafting Professionals, Patent Drafting Training, Patent Drafting Vitals, patent protection, Patent Your Software, Patentability, Software Developers, Software Patents, Technology Domain. Bookmark the permalink. ← Patent Drafting Vitals: You Can’t Miss These!